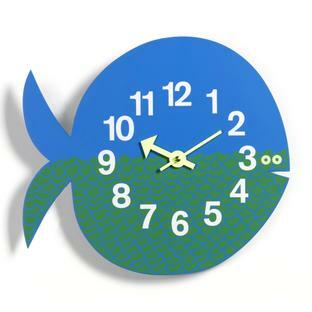 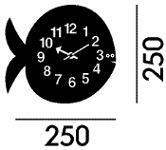 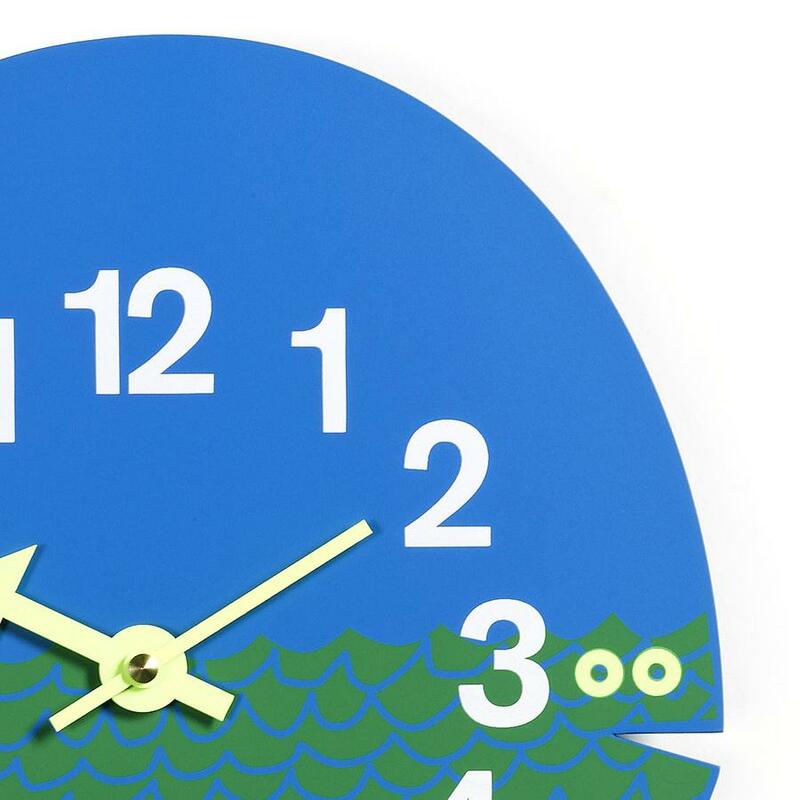 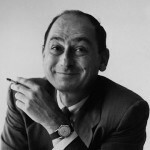 George Nelson designed Fernando the Fish as a serene children's clock in 1965: and quite in contrast to the elegant desk clocks developed ten years earlier. Fernando the Fish from Vitra is thus less intended for stylish living rooms, but rather as a colourful friend in the nursery where with its playful manner it stimulates and promotes learning to tell the time. 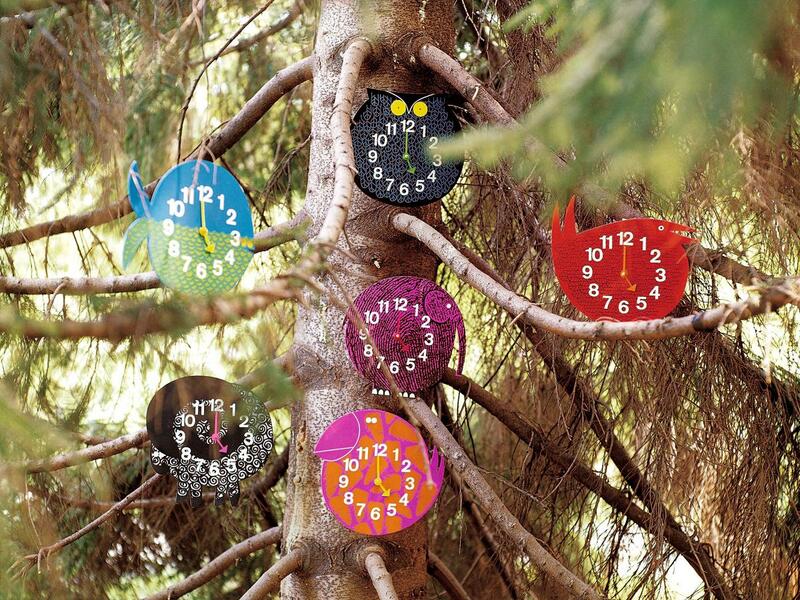 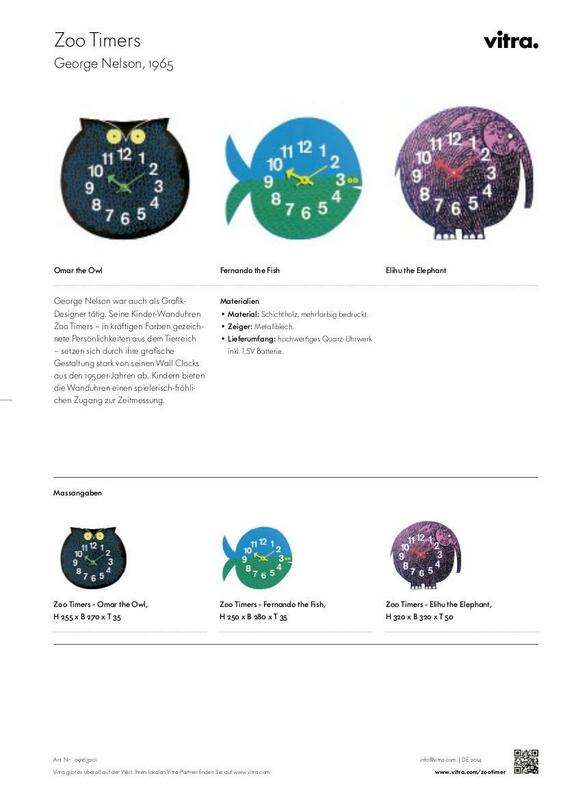 Fernando's siblings Omar the Owl and Elihu the Elephant also belong to the series of Vitra Zoo Timers and as with the temporal fish are constructed from colorfully printed plywood.